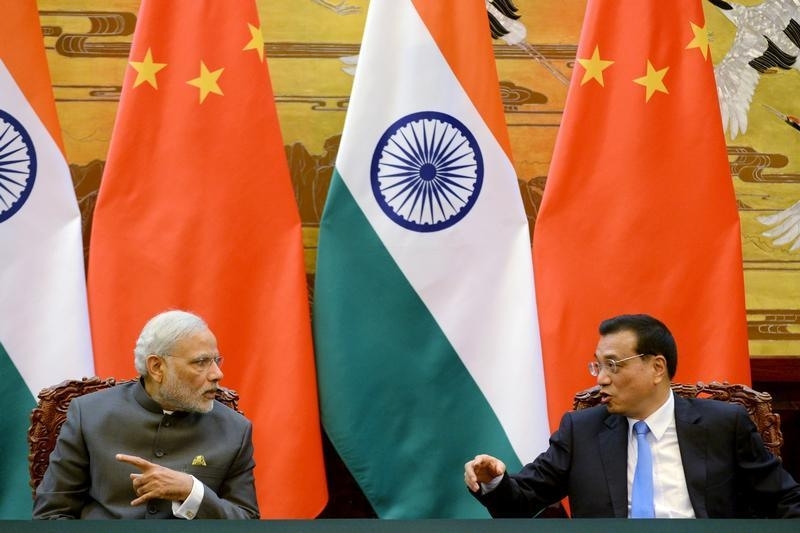 Reform hopes in China and India have been placed on hold. When Chinese President Xi Jinping and Indian Prime Minister Narendra Modi took charge of their respective countries they were seen as both more decisive and more powerful than their predecessors. Early actions raised expectations that China might be able to overcome its addiction to investment while India might finally take steps to get its cumbersome laws out of the way of employers. Yet in the three and a half years since Xi’s elevation, and two years after Modi’s landslide election victory, not enough has changed. With growth slowing, Beijing has returned to doing what it knows best: ramping up investment. The official goal is to boost total lending by 13 percent in nominal terms this year. That’s double the target rate for economic expansion, and implies that avoiding a sharper slowdown, not cutting China’s already-high levels of debt, is the priority. First-quarter data released on April 15 showed GDP growing 6.7 percent year on year but fixed-asset investment rising by 10.7 percent. Additional stimulus in a country dotted with overcapacity seems certain to lead to more bad debts. Any restructuring is limited: though the government said in February that it will lay off 1.8 million coal and steel workers, there is no clear timetable. On April 14, International Monetary Fund Managing Director Christine Lagarde said the IMF was “concerned” about China following through on revamping struggling state-owned enterprises. New Delhi’s politicians are equally shy about privatising public enterprises or laying off employees. Under Modi, the government has continued the weak-kneed practice of setting targets for selling small stakes in government-owned companies – and then failing to hit them. Modi has made a start tackling the problem of state-owned banks, the main source of a bad debt problem. Credit Suisse estimates that total problem loans account for as much as 17.8 percent of overall loans. But a long-term fix requires independent management of public sector banks, which seems as distant a prospect as under Modi’s predecessors. Meanwhile, the government has directed banks to extend loans to startups and to provide a backstop for a poorly designed crop insurance scheme. Neither regime has been totally inactive. Beijing deserves credit for letting foreign investors buy into the Shanghai stock market and for widening the trading band for the renminbi – even if that move was clumsily handled. New Delhi attracted record foreign direct investment in January and the government is once again pushing to get its overdue goods and services tax through parliament. Even so, these moves have fallen far short of initial hopes. Investors fixated on the Chinese leadership’s 2013 promise of a “decisive role” for markets, while paying less attention to the accompanying pledge of a continued “leading role of the state-owned economy”. In practice, the state leads every time, as shown by its efforts to prop up the stock market last summer. Modi’s previous leadership of the intrinsically entrepreneurial Indian province of Gujarat, meanwhile, was the reason for optimists to cast him as an Indian version of Margaret Thatcher. But this ignored that, as chief minister, he was content with making state-owned enterprises more efficient, but not privatising them. These days, China’s Communist Party and India’s Bharatiya Janata Party rally around nationalism rather than privatisation. Under Xi, China has rattled neighbours in the South China Sea by claiming nearly all of it. Meanwhile Modi’s party is growing increasing intolerant of dissent, and now says criticising India is unacceptable. This seems a long way off from Modi’s winning campaign two years ago. That promised jobs and economic development and was a hit in a country which produces 12 million new job-seekers each year and far too few factory jobs. In India, as in China, politics is once again trumping economics. China’s first-quarter GDP grew 6.7 percent, its weakest pace since the global financial crisis, official statistics showed on April 15. The year-on-year increase was exactly in line with a Reuters poll, while indicators such as fixed-asset investment beat forecasts. Speaking in Washington, D.C. a day earlier, IMF Managing Director Christine Lagarde said the IMF was “concerned” about China following through on the restructuring of its struggling state-owned enterprises.